Our team have always believed in transparency on the web. Therefore we are disclosing that on this site we’ve included links to products and as affiliates we will earn commission if visitors purchase products through these links. 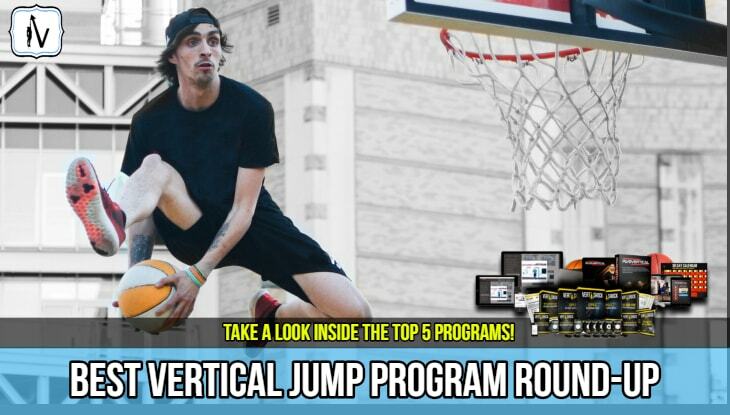 Verticaljumpworld.com was established to generate revenue that will allow us to continue to be able to provide the very best vertical jump related content for our valued readers for years to come. As a result, owners of this website receive income through affiliate links provided in text, on banner advertisements and within individual product reviews. However, the commission we receive does not influence the final price of bought product or rating of our reviews. You will never pay more for purchasing through our exclusive links however often the link may provide a link to a discount offer meaning you may actually pay less. We apply the utmost integrity when choosing products to review and/or promote on this site and truly believe that these featured products will provide remarkable value to our visitors. The commission we earn as affiliates enables us to continue doing what we are passionate about which is helping our readers learn how to jump higher. The opinions expressed on our site are our own and do not reflect the opinions of our affiliate partners. Product reviews and ratings found on this site are based on our own personal opinion formed from extensive market research and in most cases from personal experience with the product. The following disclosure has been created to ensure Verticaljumpworld.com is in full compliance with the Federal Trade Commission’s policy that demands Verticaljumpworld.com be transparent about any and all affiliate relations Verticaljumpworld.com may have on this website. As a visitor on this site please assume that any and all links on this site are affiliate links. Please be aware that if you click on these links a cookie will be placed in your web browser that will ensure we receive a commission if you decide to purchase a product on the linked website. Verticaljumpworld.com would also like to fully disclose that the majority of hyperlinks within this site are shortened and cloaked in order to hide lengthy and unattractive/unprofessional looking links for functionality and tracking purposes. Verticaljumpworld.com takes pride in running an honest and reputable online business are proud of our relationship with the quality vendors, products and services found on this site. Please rest assured that link tracking and url shortening and cloaking is an extremely common practice online. Verticaljumpworld.com does not receive physical products or cash directly in exchange for any reviews or posts found on this site. To be more precise, absolutely no one has paid us to do reviews or posts. Verticaljumpworld.com must disclose that it is possible that our reviews and posts are influenced by our affiliate relationships which may create a conflict of interest. Verticaljumpworld.com do not believe that a conflict of interest exists as we honesty feature products that we believe will help our valued readers improve their vertical jump. However you the visitor ultimately must decide if you believe there is a conflict of interest by considering the information we have described in this disclosure. Good luck on your journey to a higher vertical jump.